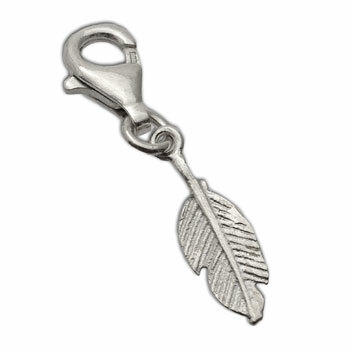 Delicate feather charm with a spring clasp can be added to a charm bracelet or necklace. 2 cm charm plus 1 cm clasp. The feather assists you in finding direction and guidance.